It has been called “America’s Classical music” and is considered to be one of the most important art forms to have emerged in the 20th century. But for Herbie Hancock, jazz is much more. It is a tool of cultural diplomacy, an international language of communication, a lesson in freedom, democracy and acceptance. The legendary jazz pianist, who came to fame as a member of Miles Davis’ iconic ‘second’ quartet, before embarking to redefine jazz in a career spanning six decades, has been serving as Chairman of the Thelonious Monk Institute of Jazz and, more importantly, as a UNESCO Goodwill Ambassador for Intercultural Dialogue. 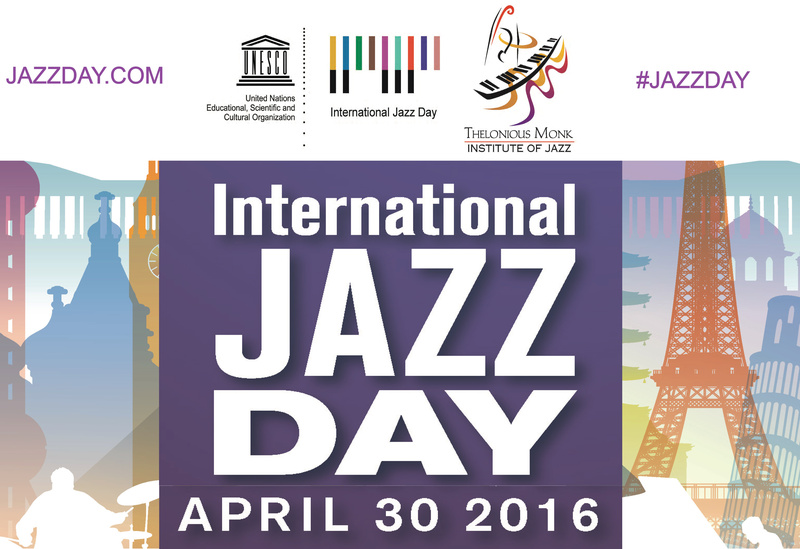 It is under this capacity that he has managed to establish the 30th of April as International Jazz Day. “The idea is to have performances, but not just performances, to have discussions, to have dances, to have perhaps even some fun games to do with the history of jazz that young people might be interested in,” he had stated, announcing this new observance, in 2011. .
“One idea that is interesting to me is jazz as a metaphor for targeting literacy. With jazz, you don’t just pick up an instrument and start improvising: it’s about discipline. Freedom with discipline is the ethos of jazz,” he said. For the past five years, Jazz Day is celebrated around the globe, with a vast array of institutions, schools, clubs and communities joining in; concerts, lectures, parties, screenings raise awareness for jazz as an art form, a source of joy and a metaphor. And, of course, each year, a certain city undertakes the task to host the major events. After co-hosts New Orleans and New York, Istanbul, Osaka and Paris, this time it is Washington D.C. that has been named the International Jazz Day 2016 Global Host City. Why Washington? Maybe because it has taken pride in a thriving jazz scene for nearly a century (although its iconic club, the Bohemian Caverns, where Ramsey Lewis recorded one of the most popular jazz hits of the ‘60s, closed last month). Maybe because it was the city of origin of a certain Edward Kennedy “Duke” Ellington, arguably the single most important composer and bandleader in the history of jazz. His orchestra, after all, began its journey in 1924 under the moniker “the Washingtonians” (it has never ceased operation, as his son, Mercer, and his grandson, Paul, have kept the band alive). And maybe it is because Barack Obama has been a champion of good music, inviting the likes of Aretha Franklin, Stevie Wonder or this generation’s genius jazz star, Esperanza Spalding. A well documented-music fan, the U.S. President apparently wants to celebrate his last year in office with a jazz party: “We are thrilled that President Obama and Michelle Obama are hosting the International Jazz Day All-Star Global Concert at the White House, and are truly grateful for their commitment to jazz and its role in building bridges and uniting people around the world”, said Herbie Hancock. The All-Star Global Concert at the White House will feature a who-is-who in jazz, blues and beyond: Terence Blanchard, Kris Bowers, Dee Dee Bridgewater, Till Brönner, Terri Lyne Carrington, Chick Corea, Jamie Cullum, Kurt Elling, Aretha Franklin, Robert Glasper, Buddy Guy, Herbie Hancock, Zakir Hussain, Al Jarreau, Diana Krall, Lionel Loueke, Hugh Masekela, Christian McBride, John McLaughlin, Pat Metheny, Marcus Miller, James Morrison, Danilo Pérez, Rebirth Brass Band, Dianne Reeves, Lee Ritenour, David Sánchez, Wayne Shorter, Esperanza Spalding, Sting, Trombone Shorty, Chucho Valdés, Bobby Watson, Ben Williams and 12-year-old piano prodigy Joey Alexander are among the names announced so far, with others bound to be added shortly. The concert will be broadcast live on ABC and will be streaming through the International Jazz Day webpage. But there is more to Jazz Day than a gathering of stars. As Global Host City, the U.S. capital will be home to a multitude of jazz performances, community service initiatives, and education programs in schools, libraries, hospitals, community centers and arts venues across the city. It will be joined by cities, towns and villages in over 190 countries to observe International Jazz Day through thousands of performances and programs. In Brisbane, for instance, Dan Quigley has organised a street parade. While people in Perth know that, on a day dedicated to the memory and legacy of Duke Ellington, there is no better place to celebrate than a club named Ellington, where the local jazz community will join forces in a tribute to the man and his music, aptly named “Duke Ellington’s Sound of Love”. As for Melbourne, it will combine its famous love for foodie activities with music, as people are invited to enjoy their breakfast/ brunch with a trad jazz twist, as the extremely talented Lagerphones are set to play two consecutive gigs in the two iconic markets of the city: Queen Victoria Market and Prahran Market (you can pick up your groceries on your way out). Later on, Yvette Johansson will present a tribute to the female jazz icons of song, at Bird’s Basement, Melbourne’s newest addition to the jazz ecosystem, while in Bayswater, the Australian Jazz Museum in partnership with Knox Community Arts Centre will present a wonderful duet of Vince Jones and Fiona Burnett. (All events listed under #JazzDay in Australia can be found here). Participation is open and any organisation, venue or artist wishing to become part of this global celebration is welcome to register their event in the official calendar. Because what is jazz, other than the shared experience of the joy of creating something new through collective improvisation? UPDATE: In case you missed the live All-Star Global Concert, here is the video.